Remember all those comparisons between The Force Awakens and the original Star Wars? 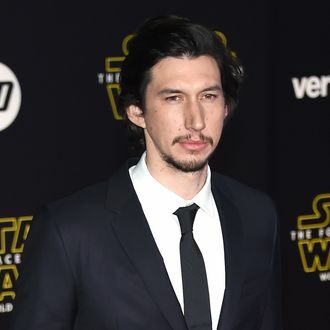 Well, according to Mr. Darth Vader 2.o, Adam Driver (a.k.a. Kylo Ren), Episode VIII is going to continue the trend, but maybe not in the ways that you think. Speaking to Collider about director Rian Johnson’s script, Driver said, “It’s is similar to how The Empire Strikes Back has a different tone. For that people always go ‘oooh, it’s dark’ but I don’t know that it necessarily is. It’s just different in tone in a way that I think is great and necessary but also very clear.” So, does this “different tone” that’s “not necessarily dark” mean we should or shouldn’t place bets on someone losing a hand? How about Poe ending up in Carbonite Freeze? Unclear, but Driver also made sure to praise Johnson’s takeover of J.J. Abrams’s vision. “Rian is coming into something that we kind of set up and he just took it to the next level in a really great way. He wrote it, too, and Rian’s writing is so clear. I learned a lot of things about my character through his writing.” So Kylo Ren having his own “I am your father” reveal is maybe on the table?